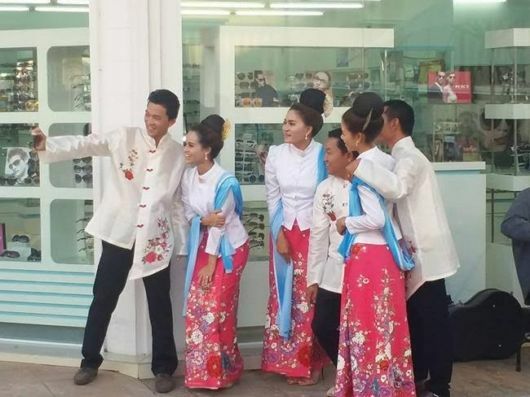 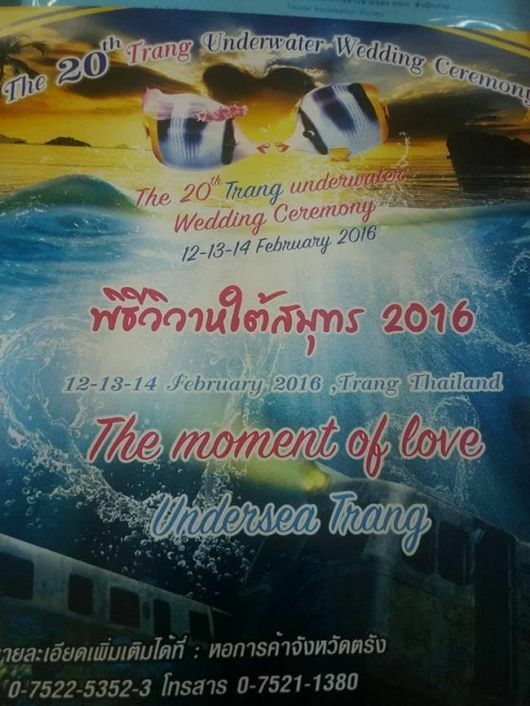 The citizens of Trang island have found a memorable way to celebrate Valentine?s Day. 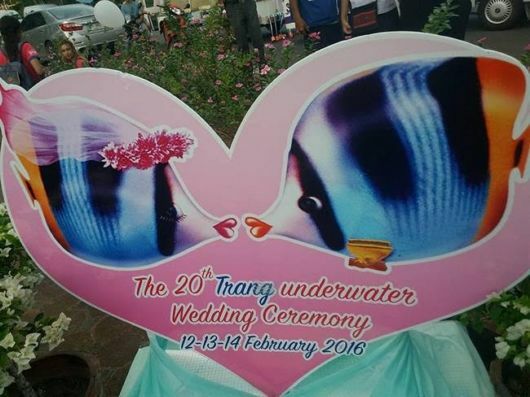 Each year, the couples here dare to get married underneath the sea. 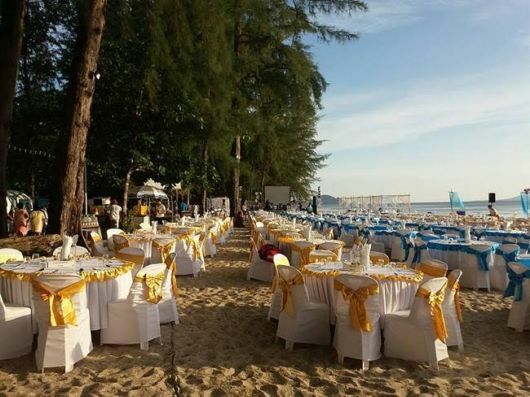 It?s the 20th year running, and the island gets a festive look which attracts visitors from all around the world. 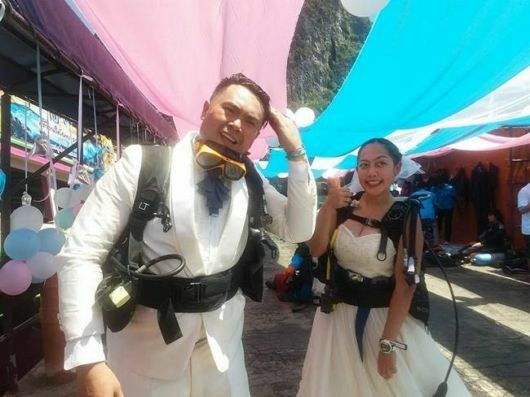 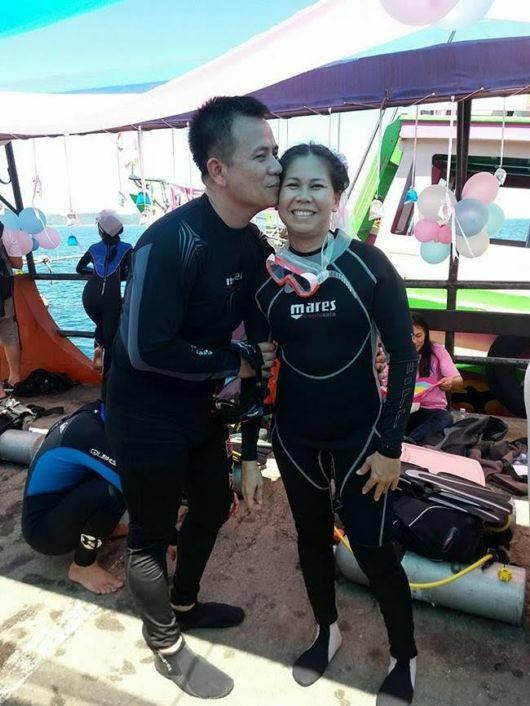 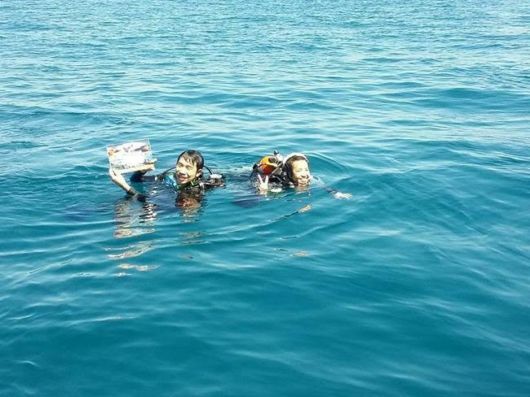 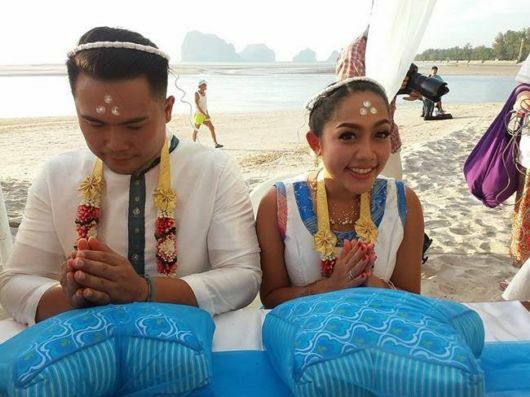 To marry underwater, all you need is a scuba diving certificate and rest will be taken care of by the Government of Thailand, who will help you prepare for a beautiful underwater wedding.